Journalist Moaveni returns to her parents’ homeland as a reporter for Time magazine and finds life infinitely more complex than she’d imagined. Growing up in southern California, Moaveni knew herself to be Iranian, with all the discomfort attached to being associated with the nation that authored the 1979 Hostage Crisis. (Most in her community chose to identify themselves as Persian.) 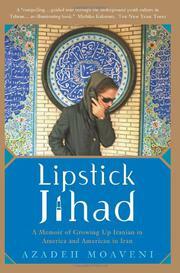 She also knew herself to be American, especially whenever she visited her family in Tehran. In 2000, she returned there as an adult in order to find the “lost generation”—her own—that grew up in the shadow of the 1979 revolution. The author’s account of trying, on the one hand, to be a foreign reporter under a theocratic regime, and, on the other, a normal young woman with a career and family and her own apartment, is beautifully nuanced, complex, and illuminating. Moaveni is perfectly situated to report on normal Iranian life to an audience of Americans, since, as an insider, she can report on those things that foreigners would find most illuminating. The real characters she describes are far more complex than the usual sources would be, and her command of Farsi allows her experience to be direct and unmediated. When her grandfather quotes ancient Persian poetry, Moaveni gets it; when her maid disapproves of her single lifestyle, she hears it straight from the horse’s mouth; and when a cleric tries to get her home phone number, she knows just what he wants—after a few moments of wondering what this holy man could possibly be getting at. Best of all are Moaveni’s reports from everyday Iranian life about the locals’ myriad adaptations to a totalitarian regime. She takes up everything: the political climate, the female sphere, the distinction of public and private behavior, teenagers’ rebellion, the challenge of creating a career, even the quest to exercise without a veil. Moaveni makes Iran a distinct entity.